Milestone sessions are perfect for babies 4 to 10 months old. The breathtaking moments of your baby's first push-ups, roll-overs, sit-ups and crawls are simply precious and truly worth capturing in a form of a beautiful image. Each milestone session is individually tailored to suit yours and your baby's needs and usually lasts about an hour. Booking your session in advance will help everyone prepare well and make the time spent in the studio worth every second of it. Rochel Konik will be guiding you every step of the way to ensure the most pleasant and satisfactory experience for you and your little one. FIND OUT MORE OR BOOK A SESSION NOW! Finally that long awaited first birthday is approaching! Cake Smash is a great tradition that families around the world have been keeping for generations, and it makes the baby’s first birthday a lot happier, stickier and messier! Getting such moments on camera is a must (at least in Rochel Konik’s book it is). Aside from an actual cake smash session, a paint splash as well as themed sessions can also be arranged. Rochel Konik will be more than happy to discuss all the possible options with you and help you choose the best one for your and your baby’s individual character and style. A cake smash session is always followed by a bubble bath or milk bath to help your baby wash off and relax while capturing more adorable images of that splashy happiness. Milestone sessions are perfect for babies 4 to 10 months old. The breathtaking moments of your baby’s first push ups, roll-overs, sit-ups and crawls are simply precious and truly worth capturing in a form of a beautiful image. Each milestone session is individually tailored to suit yours and your baby’s needs. Booking your session in advance will help everyone prepare well and make the time spent in the studio worth every second of it. Rochel Konik will be guiding you every step of the way to ensure the most pleasant and satisfactory experience for you and your little one. 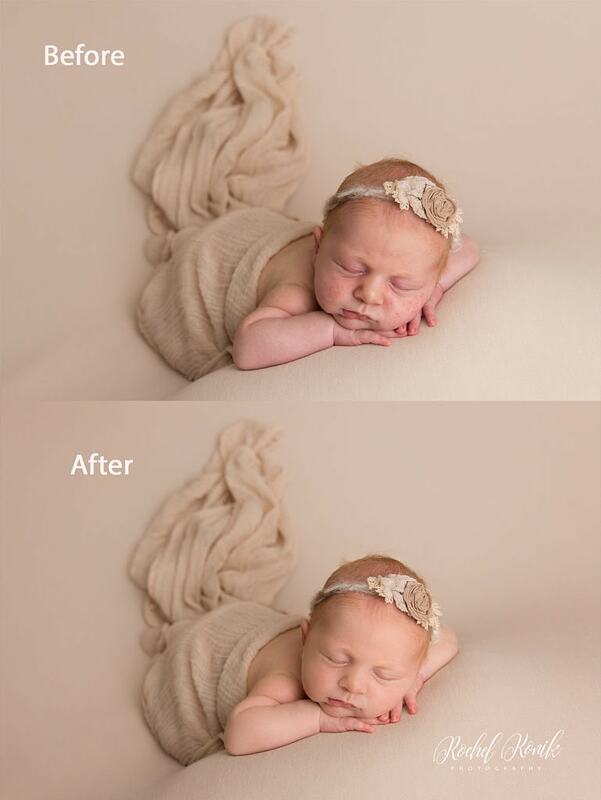 Capturing your little one in those early days is so special! There is nothing like that newborn stage when they are just so tiny! Those little faces, tiny fingers and toes – it’s such a beautiful time! Newborns are best photographed when they are approximately 6-15 days old. 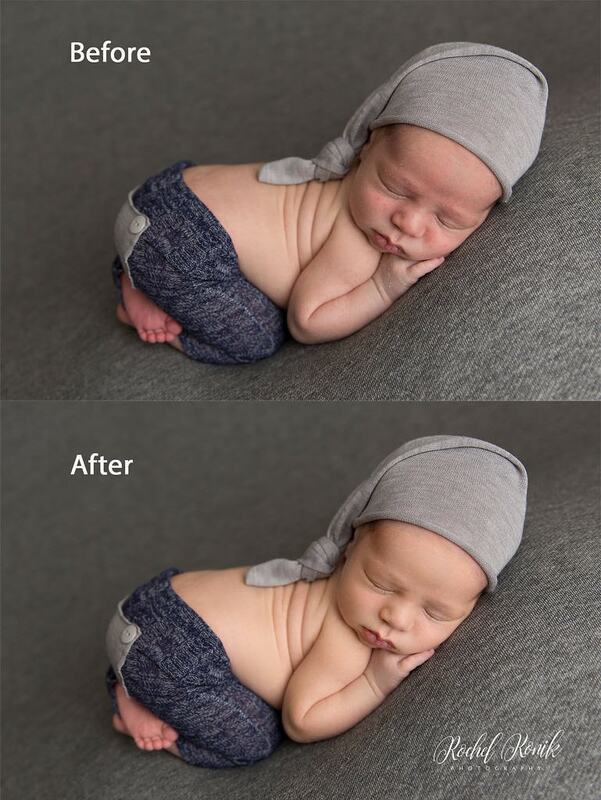 The sleepier they are, the more poses can be achieved and more beautiful props, blankets, hats and wraps can be used to achieve the perfect results. Rochel Konik will be taking care of all the work for you, so you get to have some quiet time on the couch during the session! We recommend booking your newborn session 2-3 months in advance to ensure availability, but please don’t hesitate to ask about a session if your baby is already here. The ultimate goal is for you to have a satisfactory and stress free experience every step of the way. Rochel Konik is always available to address all your questions and concerns, as well as work with you on achieving the perfect results based on your own preferred style and budget. Rochel Konik Photography offers you the most amazing heirloom art products beyond the well known “digital images” offered by many other photographers. Rochel Konik’s product line is elegant and timeless, with products sourced from the top labs in the industry. You can be sure that your beautiful images will be physically preserved in a manner just as beautiful as the digital photographs, often surpassing everyone’s expectations. Wooden blocks, metal prints, acrylics, mounted prints, folio boxes with matted prints & accordion mini books are available among other options. Some types of images do not look well on certain materials, and each image has to undergo specific changes before it can be laid on any surface. Rochel Konik will tailor each image to the appropriate product material for you, to ensure the best look and quality of each individual art piece. Samples are always on display in Rochel’s studio. Rochel will personally help you and guide you towards choosing the perfect products to go with your style and decor. About 2-4 weeks later, any products ordered will be ready for pick up or shipping. Some of the more advanced products may require more processing time. Rochel will get in touch with you when the products are ready and make arrangements for you to receive them in the most timely manner. After they safely arrive to your home, you are very much encouraged to place them in the most beautiful spot and just enjoy them! Rochel Konik will invite you to come into her cozy home studio for your session. This will allow you to have full access to all amazing props available, and Rochel – to setup properly before you arrive. The temperature in the studio is controlled during the session to keep your baby cozy and happy. Roche Konik Photography home studio is located in the Crown Heights area of Brooklyn, NY. All of your image selections will be carefully hand-edited one by one using Rochel’s signature editing process. As a result, you will receive beautiful portraits that are fully ready for print and share. Within one week from your baby’s session, you will receive a link to an online proofing gallery. Your proofing will depend on the collection you purchased. Mini sessions will have 10-15 images for you to choose from, while full sessions will have 20-30 images. Your gallery link will be live for 7 days. After you select your desired images, they will be fully retouched and sent back to you within 2-3 weeks in an online gallery. You will then be able to share them with friends and family, as well as download them in form of high resolution digital images. Full newborn session is typically 2-4 hours long to give time for feeding, settling, changing and posing. Rochel Konik will do a full range of various setups, which will include 1-2 prop combinations and 5-6 poses, depending on the baby. Mini newborn sessions for the baby only can be offered as well. These sessions are usually 60-90 min long with 2 setups and baby mostly wrapped. Baby milestones sessions typically last between 30-60 minutes with multiple outfit changes and continuous use of Rochel’s signature neutral setups to keep the focus on your baby. Rochel Konik will always go “with the flow” of the baby to achieve the best results while making sure everyone is comfortable and relaxed. No rush – just lots of love and patience for your little one! It is very important you hire someone who is experienced with handling and posing newborns, primarily for the safety of your new baby. Rochel Konik has spent several years taking courses, reading, practicing and perfecting her craft – all to excel and become a true specialist in Newborn and Baby Photography. Rochel Konik’s studio is equipped with everything your child needs to stay safe, calm and comfortable. For Rochel safety is always a number one priority. Your session will include custom styling and unlimited use of Rochel’s large collection of high end backdrops, props, wraps, outfits, headbands, bonnets, and layering textures. All props have been carefully selected and purchased from all over the world with Rochel Konik’s classic & timeless, soft pastel colors inspired photography style in mind.